Personalized Lighthouse Address Sign - - wall mount 15" x 7" rectangle address plaque with a beckoning lighthouse on the left side. Made in USA. 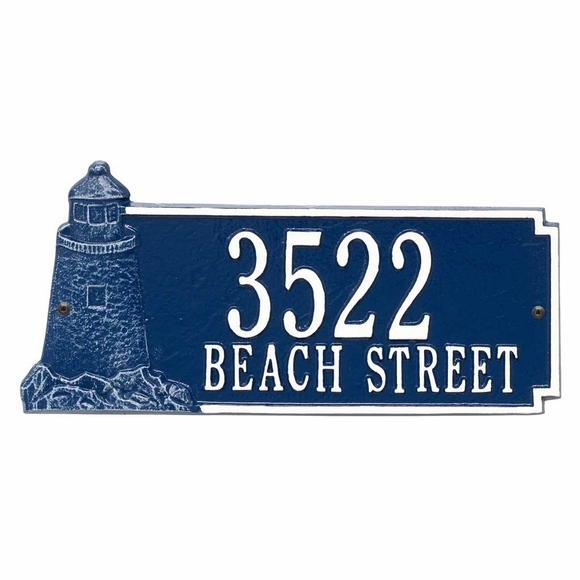 Personalized wall mount address sign with lighthouse picture. Our address plaque is absolutely beautiful. I goes very well with a screen I had painted of the Cape Lookout Lighthouse. The company does GREAT work!! !